im still continuing my look at japanese design, and today im focusing on fabrics. starting off with these lovely prints from japanese site shugale . 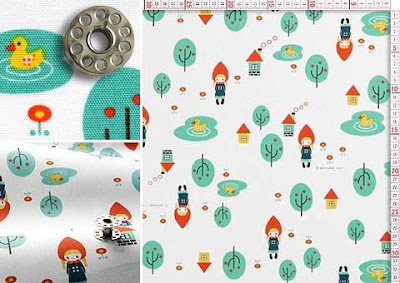 the design above is by shinzi katoh, and below fairytale fabric, with gorgeous decole at the bottom. if you are looking to buy japanese fabrics then see the following posts for a list of where to shop online. I'm loving Japanese week as always! 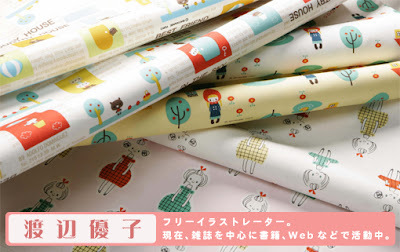 http://www.nuno-plus.com is another good site for fabrics direct from Japan - they have a few of the ones you've featured here and worldwide postage isn't too costly. wow thanks zee, great tip - ive added nuno to the list below. Great fabrics. Do they come on a roll like wrapping paper? What a good idea. Love super buzzy too. hi! i've been reading you for months, and just realized that your rss feed is no longer there. my blog reader hasn't picked up any new posts since july 10! did you disable rss? am i doing something wrong? 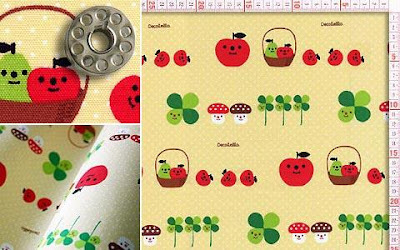 i neeeed my daily dose of print & pattern! It's amazing how the Japanese can do cute so well!! 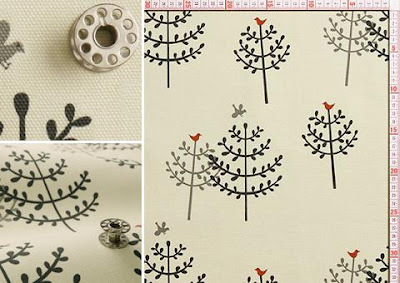 I love the first fabric with the trees and birds! Thank you for sharing all this inspiring stuff! I love the little blue birdie in the first one. Tough getting those mug designs on to the ceramics. 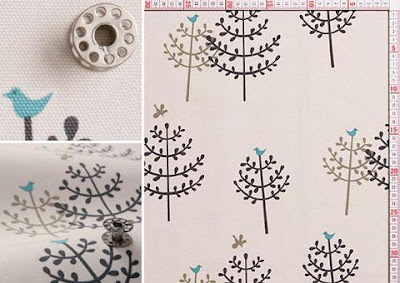 I would like to buy these fabrics but How did you order on Shugale? Everything is in japanese. I think you have to register. But I do not manage to fill in the form. I want to buy it!!!!! What i make?? Wow these fabrics are so beautiful an amazing!!! Which design company makes them? Lecien? for a variety of Japanese fabric. 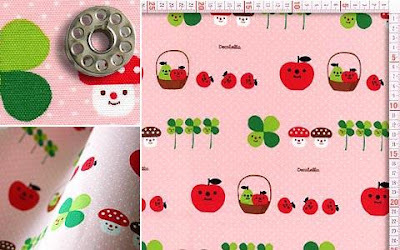 New fabric is added daily.